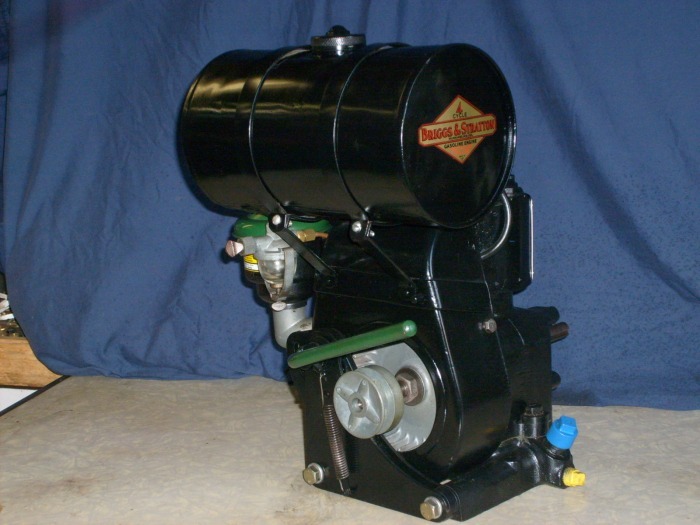 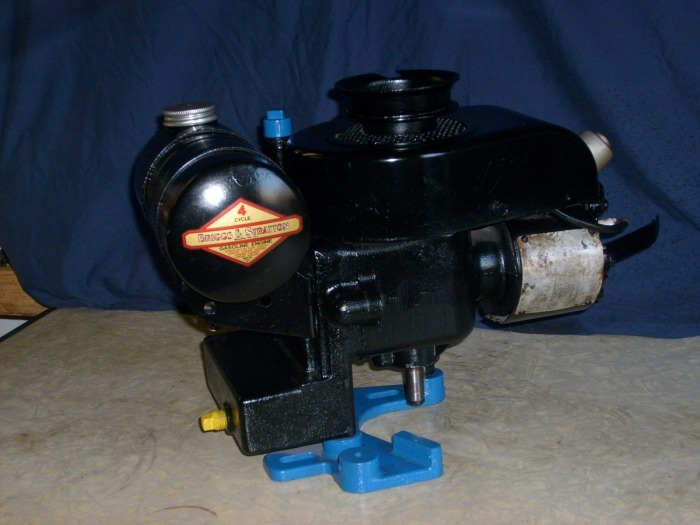 The model 5 and 5Sare updated versions of the WMB with an improved suction feed carburetor on the 5s version and a deep oil sump. 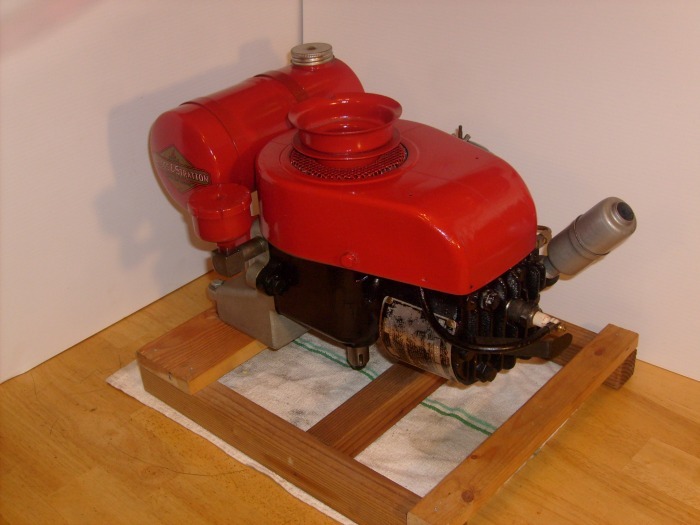 It is belived that this engine was developed for power lawnmowers with the deep sump improving in non-level enviroments. 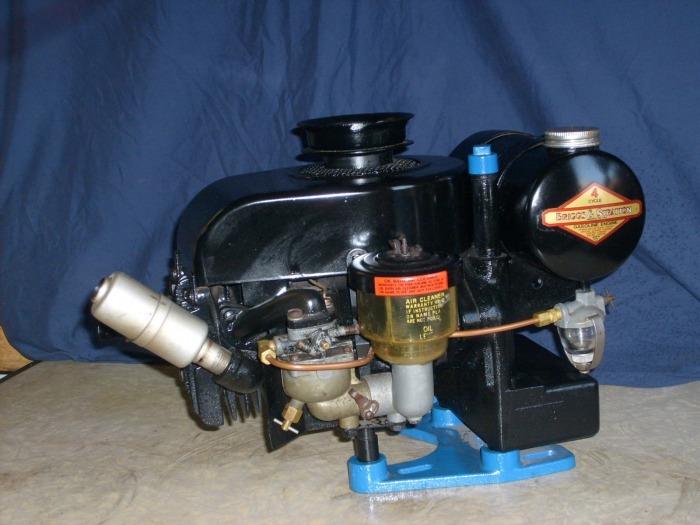 The WMB had a very small oil capacity and would burn up if operated off level. 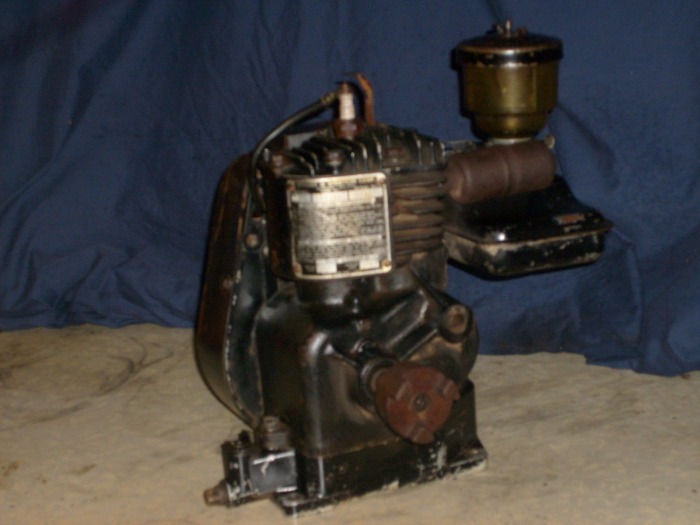 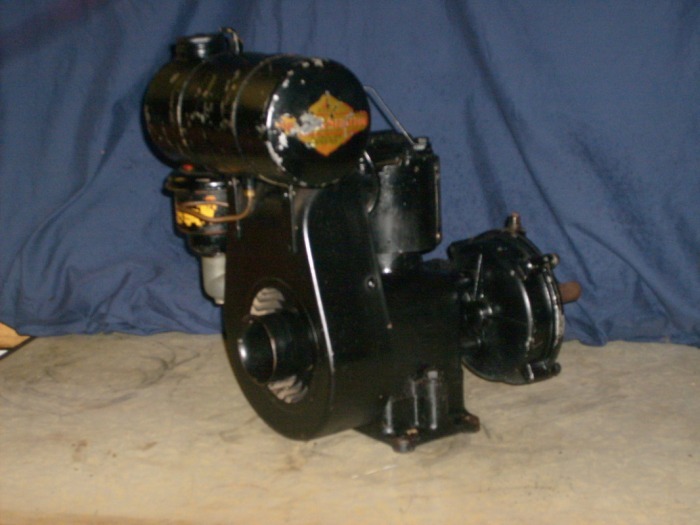 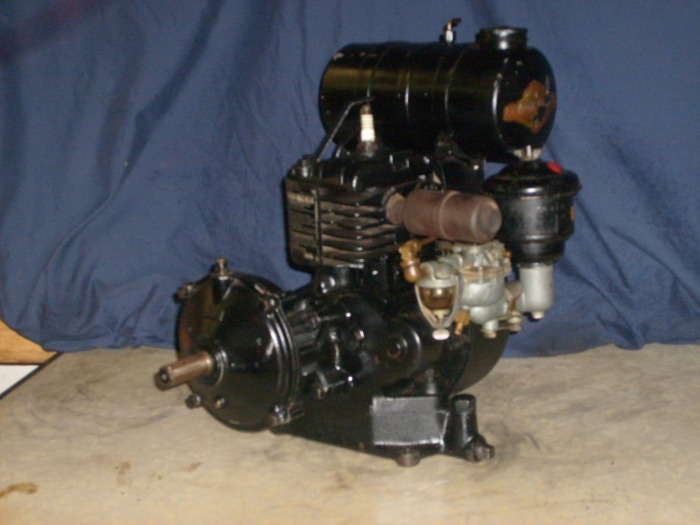 The 5S is by far the most common version of this engine and was used on most reel type mowers during the 50's. 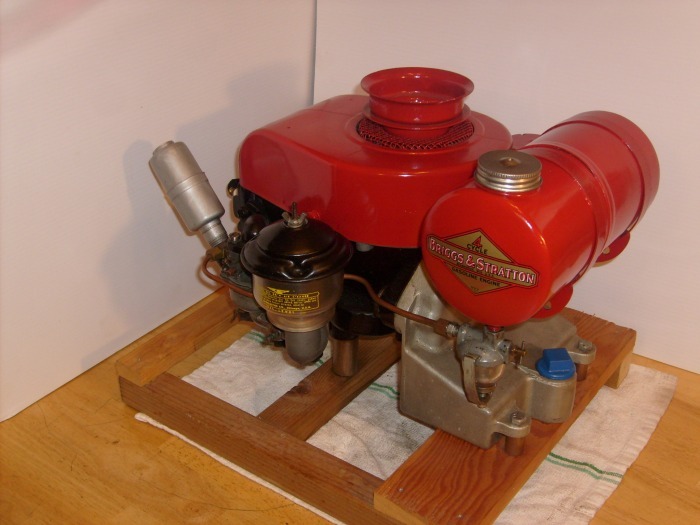 The engine can be found with both recoil start and rope start mechanisms and I have seen one with a lever starter. 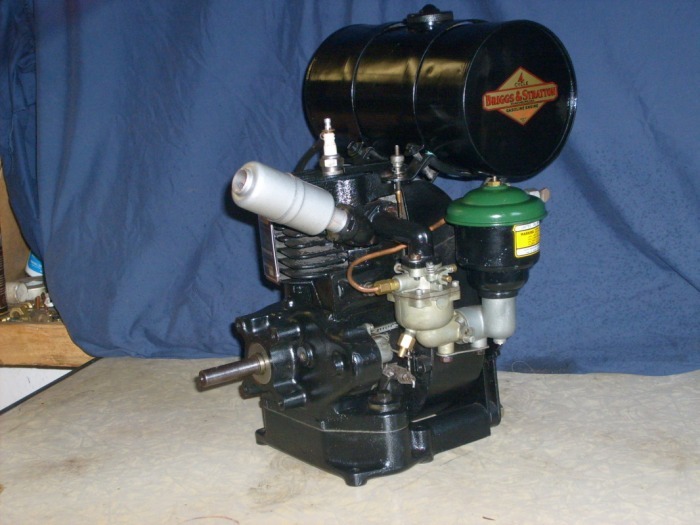 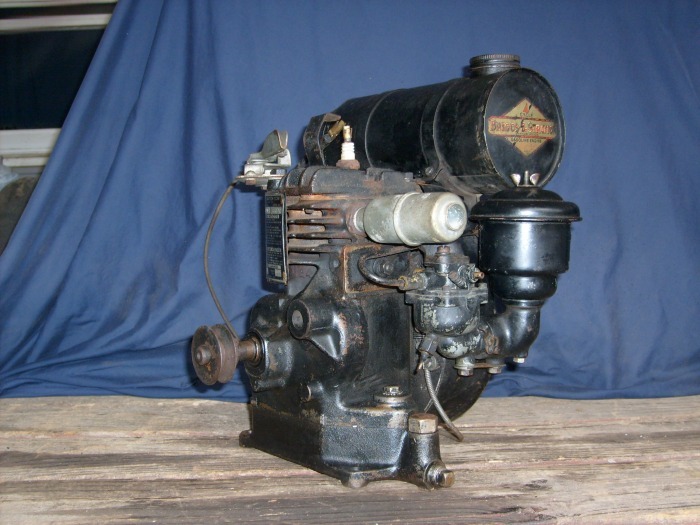 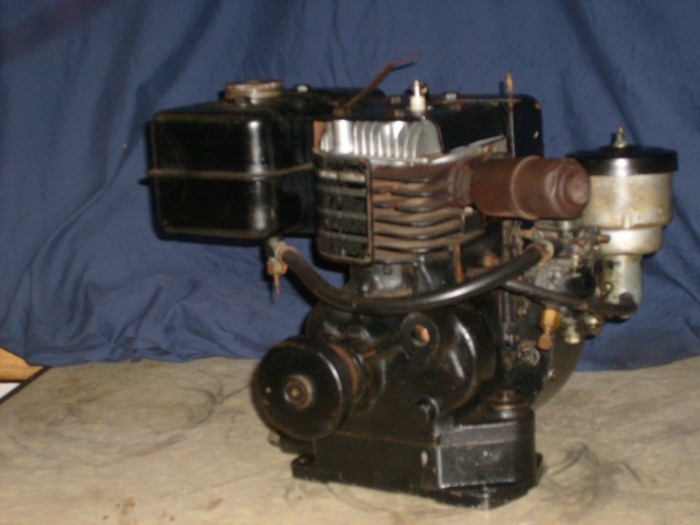 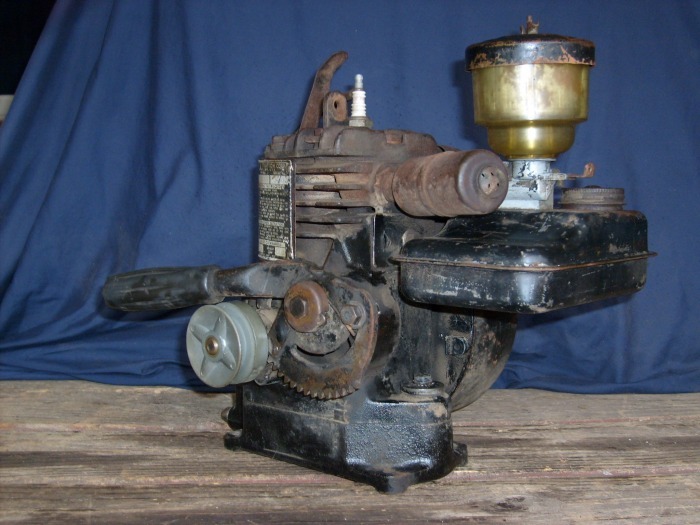 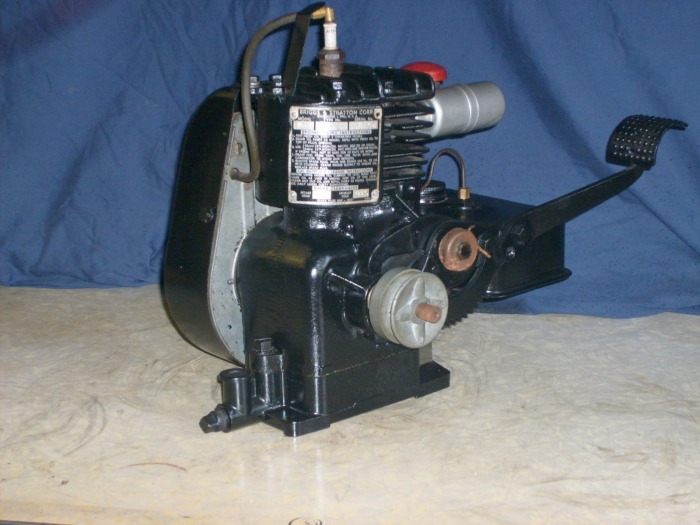 This engine is a horizontal (vertical crankshaft) version of the model 6 or 6S and was the designed specifiaclly for the new (at the time) Rotary lawnmowers. 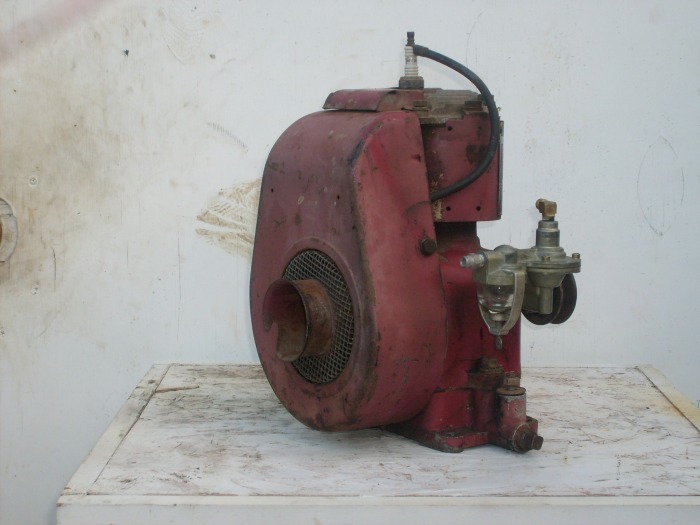 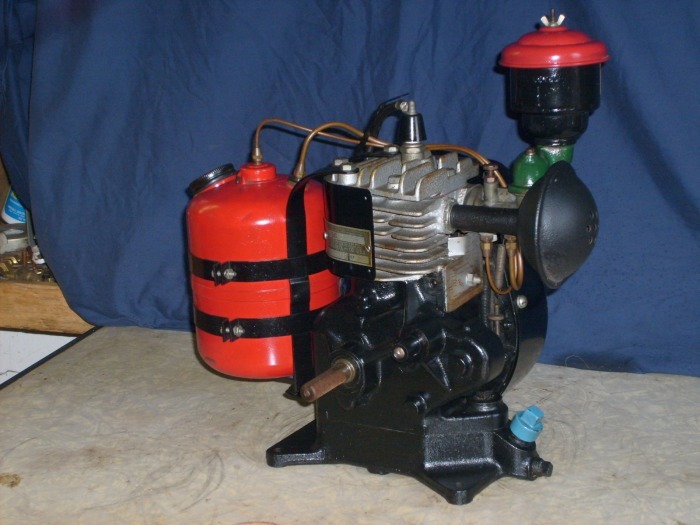 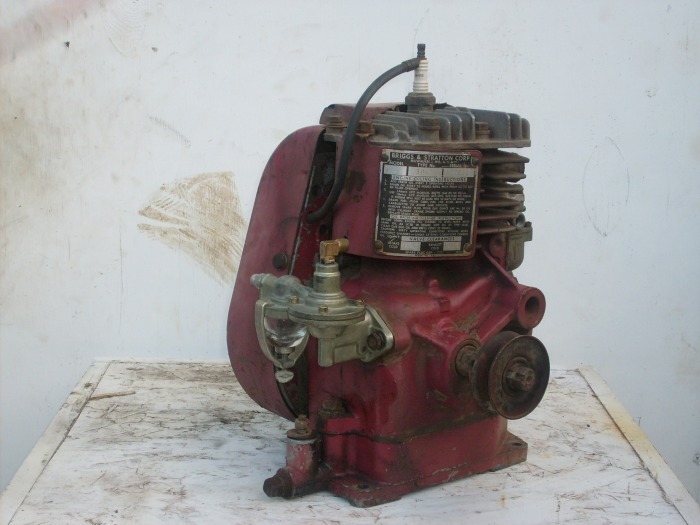 This engine has a float feed carburator, pnumatic governer, as well as a special oil sump and ejection type oil pump. 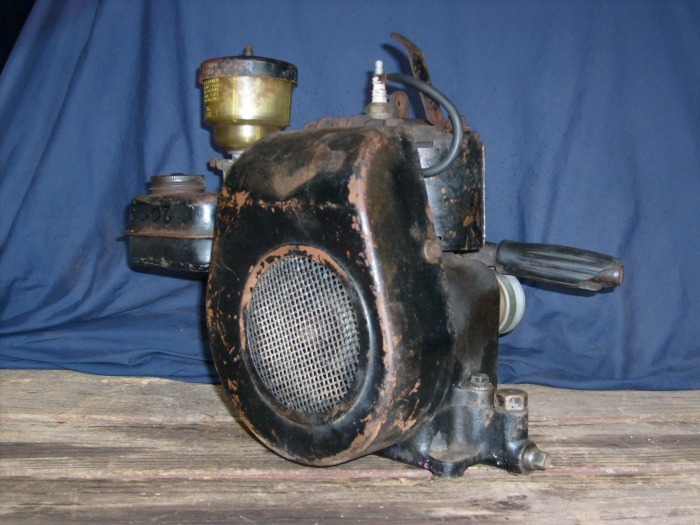 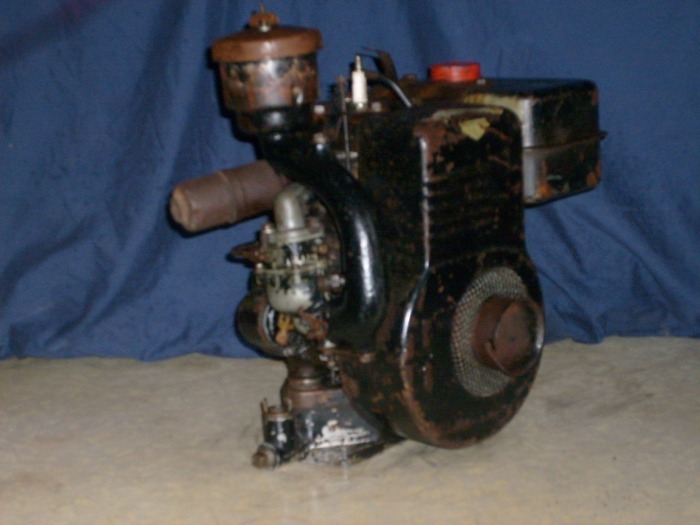 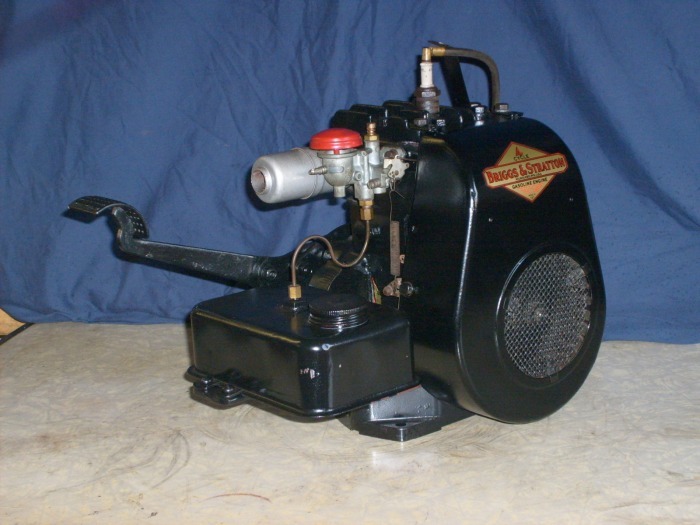 There are several versions of this engine, differing mainly in the mounting system with some being mounted by lugs on the oil sump and some having a flanged mounting. 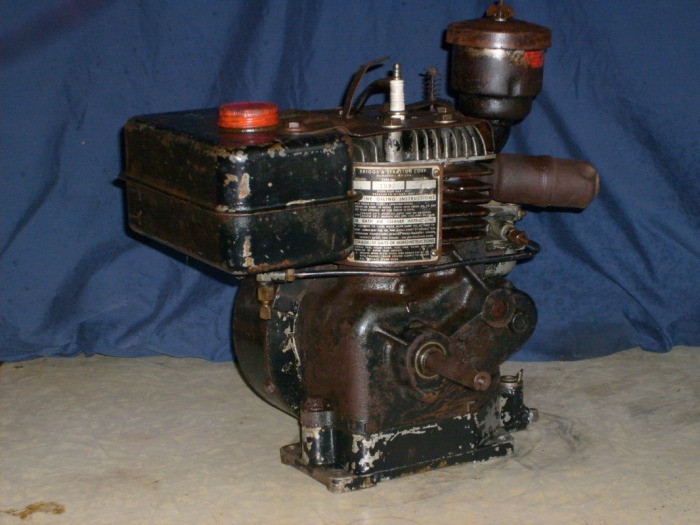 This engine was built in Febuary of 1951. 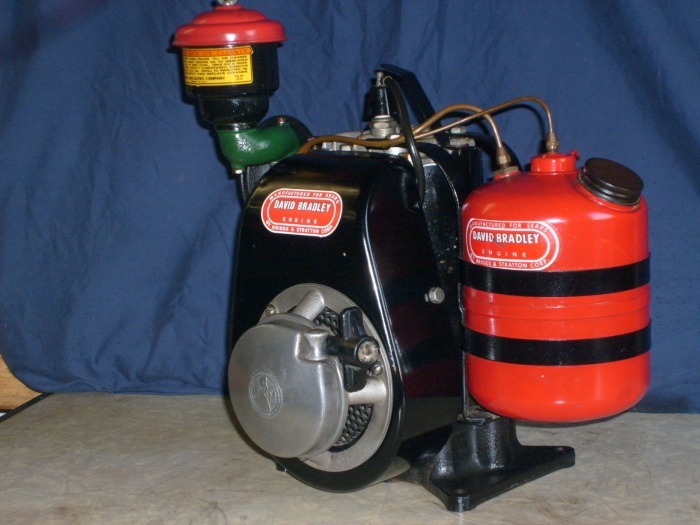 This vertical shaft Briggs is unique because it has a 5/8" keyed crank shaft instead of the normal 1" crank used on lawn mowers. 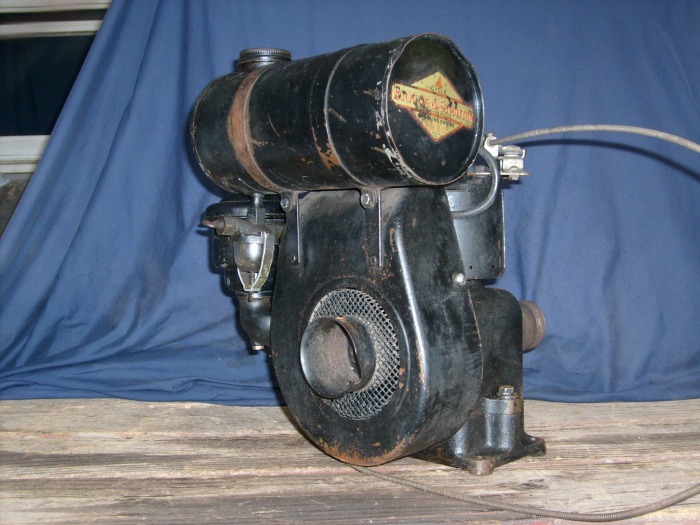 It was taken off the roof of an old lumber drying building in Willamina,Oregon at an old closed down sawmill. 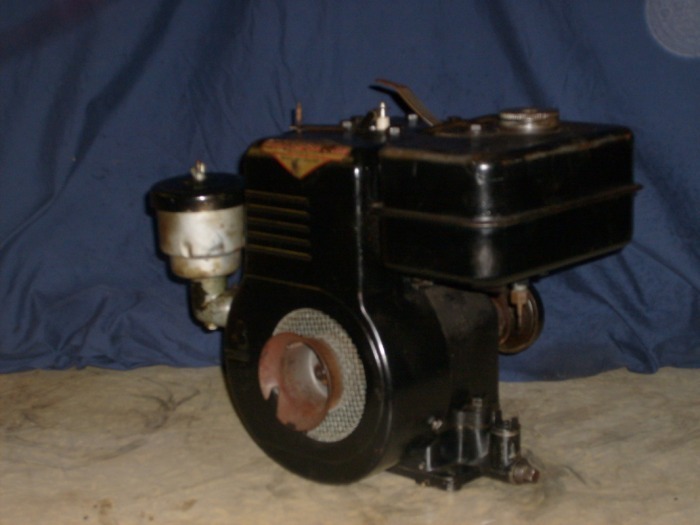 It was used to power an auxiliary fan when the power went out in the area. 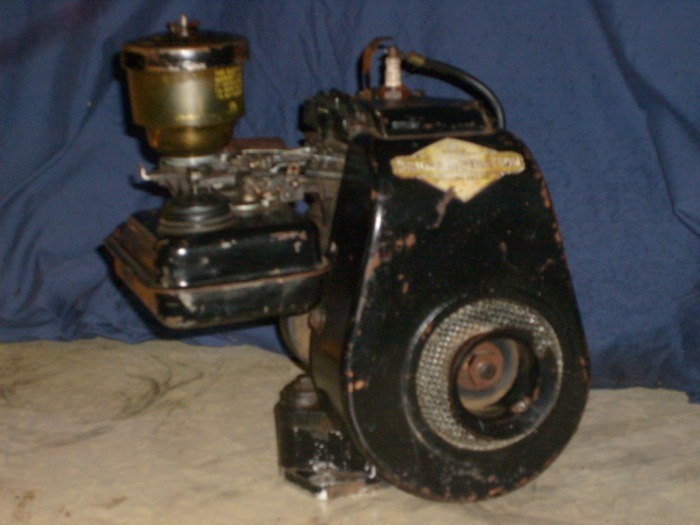 The mounting bracket is also unique to its use.